Long before we celebrated Arbor Day, before anyone came up with the term ecology or the idea of an Earth Day, even before most people would have guessed that we should pay attention to the health of our environment...there was Julius Sterling Morton. If you've ever doubted that one person can have a major positive influence on the Earth, you should know the story of J. Sterling Morton and how his belief in the beauty and necessity of trees has literally changed the landscape for over 100 years. The history of one man's environmental action begins in the early 19th century. Julius Sterling Morton was born April 22, 1832, the same April day that would one day be honored officially as Arbor Day. His father was a village merchant in Adams, New York. In 1834 the family relocated near Detroit, Michigan. Sterling developed an interest in writing and publishing while working in his grandfather's newspaper office. His parents enrolled him at Wesleyan Seminary, where the 14 year old Morton met his future wife, Caroline Joy French, and discovered that they were both nature lovers at heart. Their story might have disappeared into history right there. They might easily have settled in Michigan, in a home surrounded by the trees and gardens they took for granted, except for one fateful move. On October 30, 1854, Carrie and Sterling Morton left Detroit on their wedding day to make their way to the great unsettled plains of Nebraska. Sterling had a job waiting as a promising journalist on the territory's first newspaper, the Nebraska City News. He was soon named Editor of the paper. The young couple was off to a promising start, but something was wrong. Their new pioneering homestead was in the midst of a treeless prairie. It just didn't feel right. As soon as the Mortons had built their four-room home on the highest point of the 160 acre property west of Nebraska City, they started planting. They added shade trees, shrubs and flowers to beautify their environment. Within a few years, they added an apple orchard of 300 trees. This was followed by another orchard of 1,000 trees. 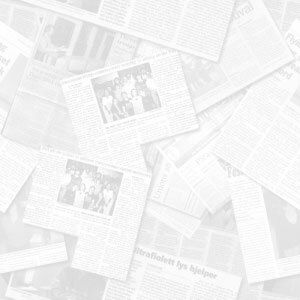 Sterling started writing articles in the Nebraska City News promoting his views on agricultural advancement and the value of planting trees. He ran his own experiments to find out which trees were best suited to the climate of Nebraska and reported the findings in his columns. It was welcome advice, as an increasing number of settlers needed trees to act as wind breaks to keep the soil in place, provide wood for their homes, fuel for their stoves, shade, beauty and fruit. J. Sterling Morton rose quickly in influence. At 23, he was elected to the Nebraska Territory's 2nd Legislative Assembly. The President, James Buchanan, even appointed him acting governor of the territory from 1858 to 1861. But his lasting influence came later. In 1867 Morton put his focus into agriculture and conservation. He joined the State Board of Agriculture and the State Horticultural Society. In 1872 he introduced a resolution to the State Board of Agriculture that would become his lasting legacy. It was the seemingly minor idea of having a day to celebrate trees. He called it Arbor Day. Arbor Day simply means "Tree Day." All Morton was after was a proclamation to make April 10, 1872 a day to encourage people in Nebraska to plant trees. To get the ball rolling, make it a fun event and one that would motivate people, he suggested offering prizes for organizations and communities that planted the most trees. Perhaps it was just a great idea for a growing population at the point of desperately needing trees for their future. Perhaps it was the charisma of J. Sterling Morton and the years he spent building awareness. Perhaps it was the idea of a competition with prizes. Whatever it was, Arbor Day was an incredible success. Over 1,000,000 trees were planted in Nebraska on that single day. Support for Arbor Day, originally proposed as a one-time event, gained momentum. In 1874 it was held again on April 10 by proclamation of Nebraska's Governor, Robert W. Furnas. The next year, it became a legal holiday in the state. There was one small change made, however. The date was changed from April 10 to April 22 to coincide with the birthday of the man who had made it possible: J. Sterling Morton. What became of Sterling and Carrie Morton? They stayed on their original homestead, enlarging the house to accommodate a growing family of 4 sons. Carrie designed the walks and gardens and became an accomplished artist and musician. She passed away on June 29, 1881. Sterling ventured back into politics, hoping to become a governor or senator. Instead, President Grover Cleveland appointed him U. S. Secretary of Agriculture in 1893. Four years later he returned to Nebraska City to publish a new weekly journal, "The Conservative." Sterling died on April 27, 1902 at the home of his son, Mark, in Lake Forest, IL. A special mourning train bore his body back to Nebraska. The family's modest farm home had grown to become a stately mansion of 52 rooms. It was named Arbor Lodge and finally completed in 1903 by the Morton's oldest son, Joy Morton, who also founded the Morton Salt Company. By completion, the property included a carriage house, Italian terraced garden and a pine grove that Sterling planed in 1891 to prove to Governor Furnas that white pines would grow in the Nebraska soil. In 1923, the Morton family donated Arbor Lodge and the rest of the property to the State of Nebraska. It is now a state historical park dedicated as a monument to the founder of Arbor Day. Arbor Day itself was an idea that expanded throughout the United States and even around the world. Most states soon began recognizing Arbor Day. Schools started picking up the tradition in 1882. Some activities we've grown up with include planting trees on school grounds, studying the benefits of trees, and coloring pictures of favorite trees. Arbor Day was first observed in Adelaide Australia on June 20, 1889 and expanded to include Victoria in 1909. It coincides each year with the "Day of Trees" during Western Australia Week. In Japan, they celebrate "Greening Week." In Israel it is "The New Year's Days of Trees". India has "The National Festival of Tree Planting." Other countries have adopted the tradition either as their own version of Arbor Day or a longer period of celebration. In 1970, President Richard Nixon moved the United States national observance of Arbor Day to the last Friday in April. Some states also observe their own Arbor Day or Days when the time is best to plant trees. It ranges from the last full week of February in Alabama to the first Friday of November in Hawaii. A statue of Julius Sterling Morton now stands in the National Hall of Fame in Washington, D.C. It serves as a reminder that leading by example, rallying others for support and promoting good ideas with all your energy can lead to amazing things. Arbor Day History - Arbor Day. J. Sterling's son Joy (1855-1934) established The Morton Arboretum in Lisle, Illinois, in 1922. National Arbor Day Foundation - A comprehensive Arbor Day site with historical background and tree planting information. 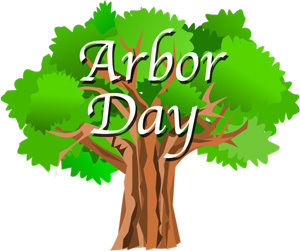 Arbor Day Holiday Items - Get your Arbor Day stickers, shirts, party supplies and more here. Make This Your Personal Earth Day - After a quarter century, Earth Day is more important than ever in saving the environment on a personal level. Earth Day 50th Anniversary Celebration - Commemorate the half-centruy mark of Earth Day with these gifts and souvenirs. Green New Deal Items - Support the transformation of our society to ensure a sustainable future for all of us.